Showing a friend the location of the planet in a clear blue sky is a challenge. If the moon is nearby, as in the image above, then locating the planet is easier. If the sky is clear without clouds or the moon, then it’s more challenging. In the image above we found Venus in the sky. Some persons in the party could not find the planet. 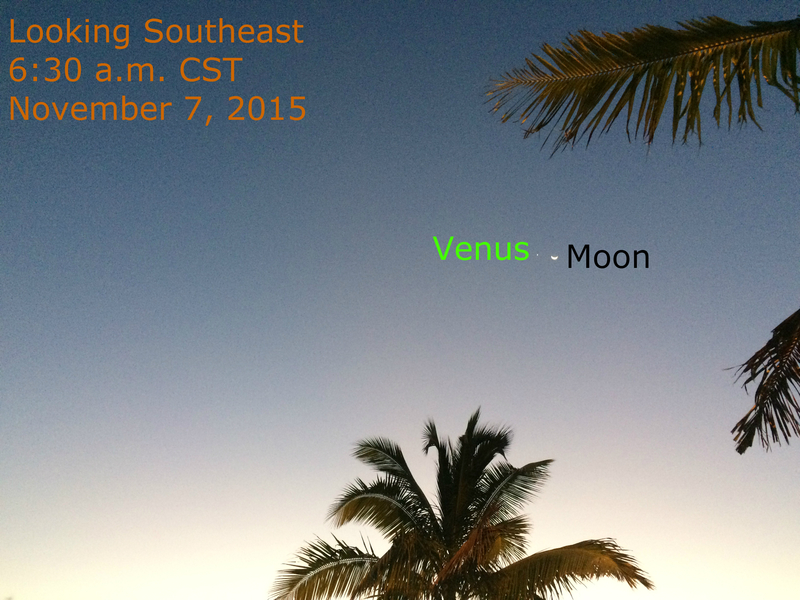 We moved to a place where Venus was just above a nearby tree. 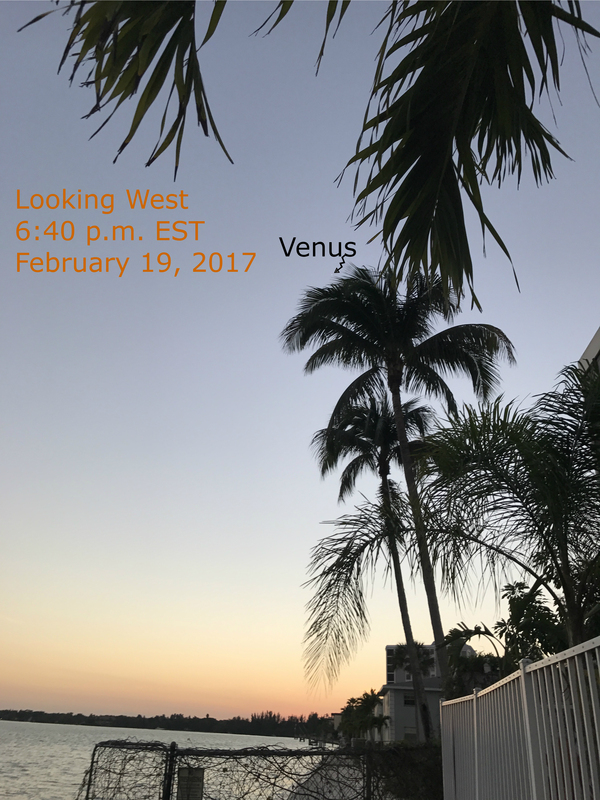 We said, “Look for Venus immediately above the tree.” It was much easier to see in the sky than it appears in the image above. Happy planet searching.